Festooned with modern technology and engine, these bikes bring back time from the ’60s. 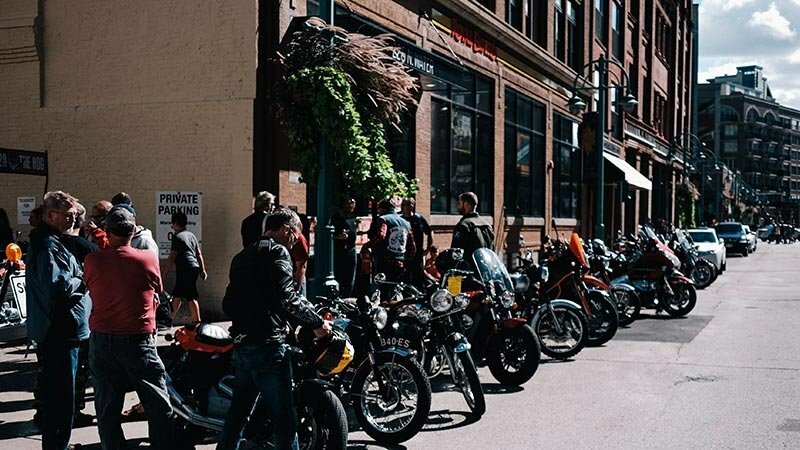 The self-attested “oldest motorcycle company in continuous production in the world” has been making the right moves to be heard the world over. And their recent project seems to have gained a lot of traction ever since the last EICMA show where they showcased the 650cc retro twins running on brand new twin-cylinder engines. In a bid to create a niche market for themselves, the Bullet maker decided to step up their game both in the number of cylinders and capacity. Christened as the Continental GT 650, it heralds a new chapter for Royal Enfield, a company that until now made only 350cc-535cc single barrel machines. As people are maturing, so is the adventure-bike segment. Call it a trend or being sensible, manufacturers are contesting even in lower-displacement machines. This renewed interest is bringing all the positives to the manufacturer into cultivating young riders to brand loyalty. After dominating back home in India, the post-British brand has been relentlessly expanding for half a decade and have increased exports to 93% this year compared to last year. And for 2018, they have no plans for slowing down. Their dual-sport enduro is making its way to our shores. 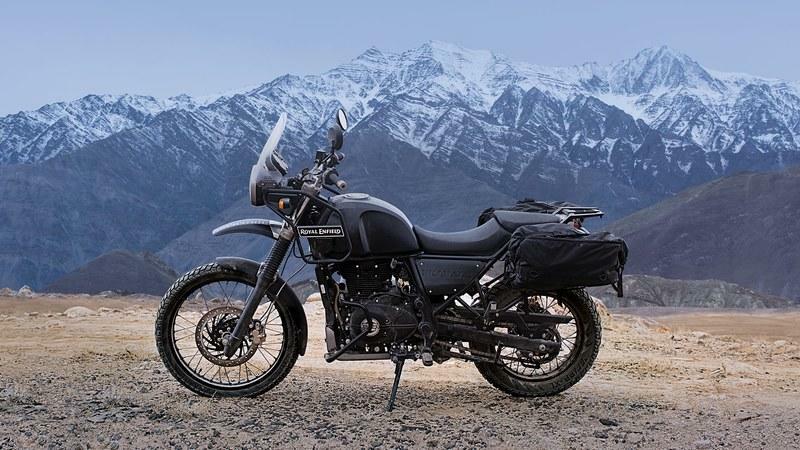 Called the "Himalayan", an adage to the mighty mountain range, it brings a lot of new things to the table – an all-new engine, all-new chassis, all-new design language, and most importantly, all new functionality of performing on both on and off-road terrains with equal ease. 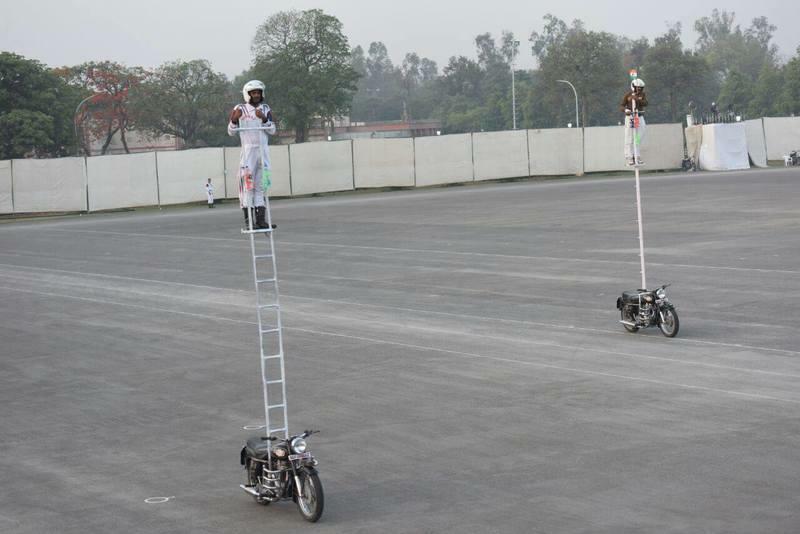 Breaking motorcycle stunt records is nothing new for the Border Security Force (BSF) of the Indian army. Apart from being the country’s first line of defense, they also indulge in some motorcycle trick riding that started way back in 1990. BSF’s ’Janbaz’ was created in 1990, and they are famous for displaying their gravity-defying stunts and breaking their own previous records. In the month of April 2018 alone, the Janbaz troop set four motorcycle stunt records, all of which were performed on their darling 350 CC Royal Enfield motorcycles-the face of stunt riding for the BSF. The stunts include longest riding on a ladder/pole, longest riding backward, longest riding while standing and carrying troops. 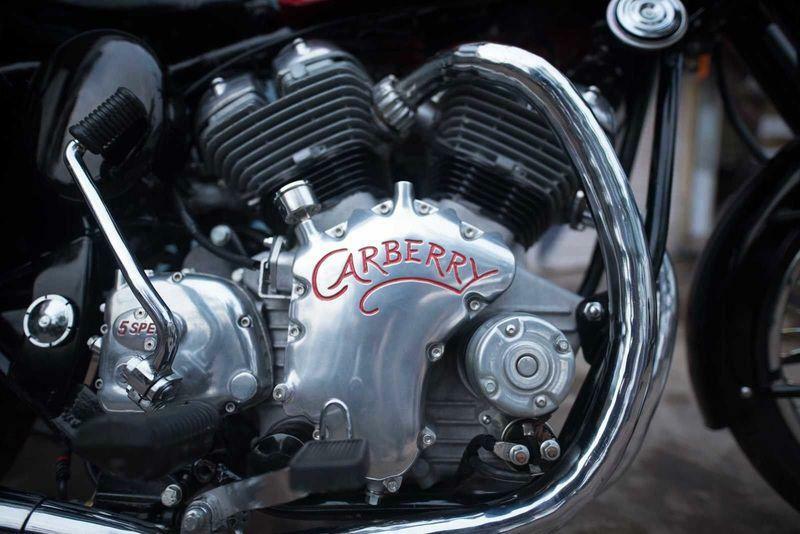 Carberry Motorcycles has been the new kid on the block for the custom scene. The company was the brainchild of an Australian chap, Paul Carberry, started ‘Dream Engines and Modifications (DEM)’ and has now started production in 2016 at Bhilai, India, the backyard of the Royal Enfield. Their first product was christened as the ‘Double Barrel’, an engine that gets the long 90mm stroke engine inherited from RE and uses the cylinders, heads, and choice of 4 or 5-speed gearbox from RE. The company has just launched this new engine for enthusiasts around the world for ₹ 4.96 lakh ($7,600). But there is a small catch here; it’s just not yet available for everybody. 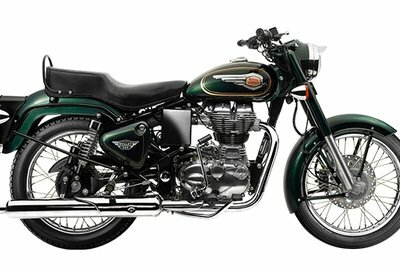 Royal Enfield is having colorful new entries into their 2018 lineup, and ironically, they look even the more retro and chic. Called the Thunderbird “X” series, the Chennai based firm has added vibrant new colors to their Thunderbird models which made its debut back in 2000. Although it never crossed the pond to North America, the Thunderbirds (both 350cc and 500cc) are very popular with the millennials back home in India. Now, Royal Enfield wants to entice the same breed of customers with splashes of colors and never before seen features on the thumper. 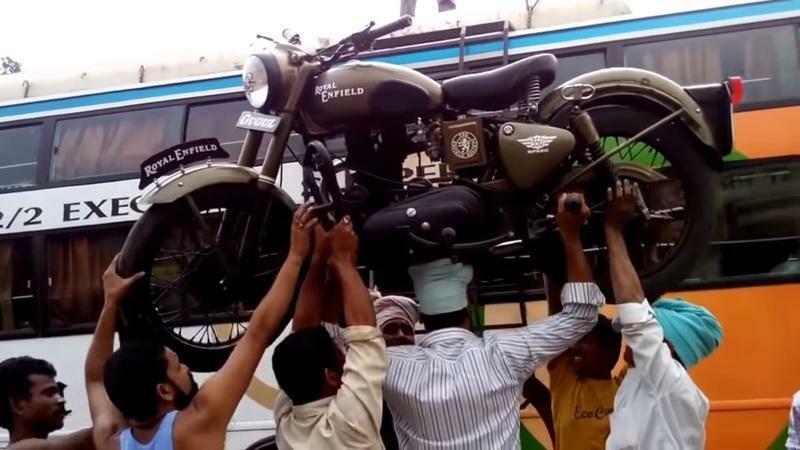 When Eicher took over affairs of Royal Enfield into their strides, they basically revived the dying fire of the cult motorcycle manufacturer. Since then RE has been at the top of the game releasing products that got every motorcycle aphrodisiac’s blood racing. Right from the Classic 500 till the very recent 650cc Twins. These motorbikes spoke for themselves and the sales figures are the proof of this. 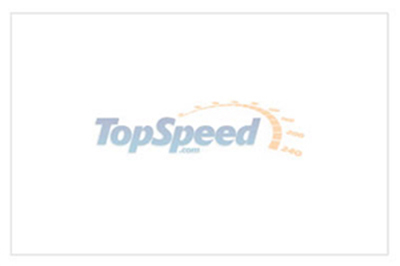 Now, the company is stepping into unknown territories. 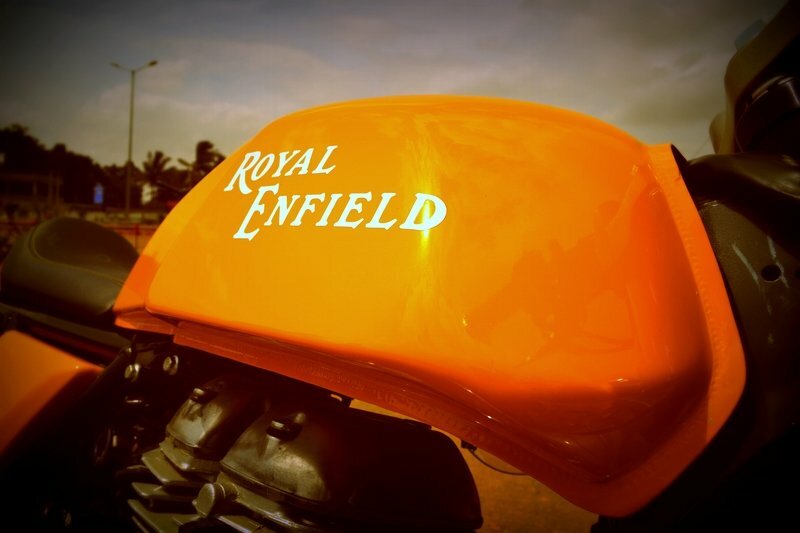 Following every other automaker in the world, Royal Enfield has also been investing its resources into the newfound electric powertrain technology for the Indian market. Although it will be quite some time before we could see an electric Enfield, the thought of not having a thumper under the hood might shake the loyalists. 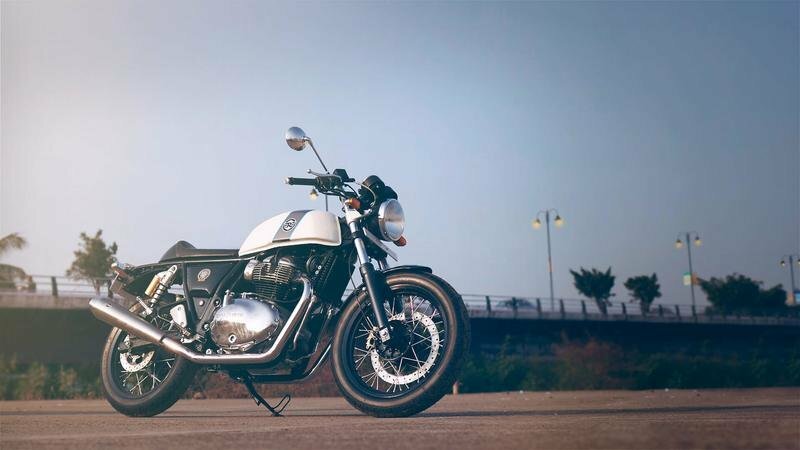 The Continental GT 650 is Royal Enfield‘s way of making the most powerful and the lightest modern day cafe racer which blends retro style with modern appeal perfectly. Powered by a 650cc, parallel-twin, air-oil-cooled engine which generates more power than any other Royal Enfield motorcycle till date. Since its launch in 2010, the Continental looks and feel very much in the 60s’ and 70’s and is unique. Not anymore though. 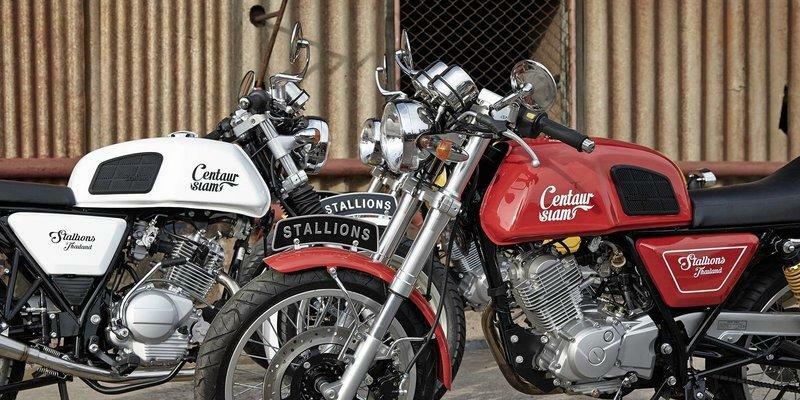 A Thailand based motorcycle manufacturer called Centaur recently launched a Continental GT lookalike and named it as the Stallion Centaur Siam 150cc. When I say lookalike, I mean a carbon copy. They have basically taken all the retro elements including the body panels off the GT and fixed on a smaller chassis and a smaller 150cc engine. Carberry Motorcycles has been the new kid on the block for the custom scene in the country. The company that was the brainchild of an Australian chap, Paul Carberry, started ‘Dream Engines and Modifications (DEM)’ which started production in 2016 at Bhilai, Chattisgarh. 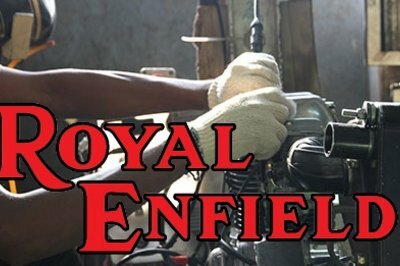 These guys have something special for all of your Royal Enfield lovers out there apart from their first production bike. A custom made ‘vibration reduction plate’ designed to support and stabilize the right-hand side of the crankshaft. The plate fits in all Royal Enfield machines having a UCE construction. 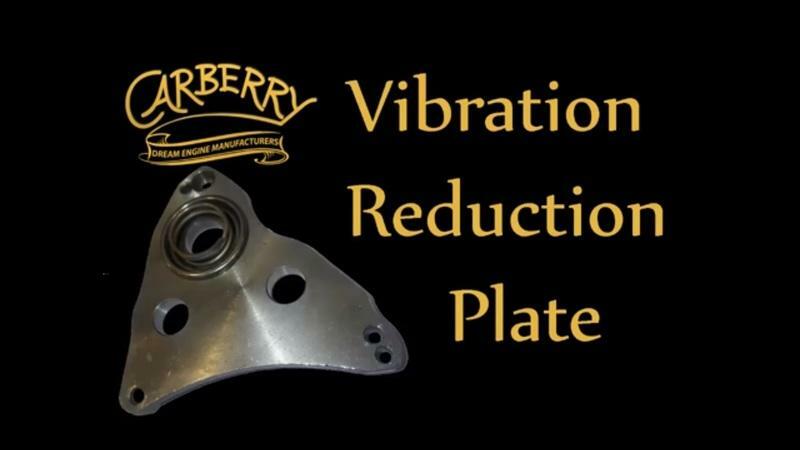 This plate will reduce vibrations usually found on all Enfields at speeds of 35 – 55 mph. It is available for just ₹ 3,000 ($ 45) and is easy to install. Royal Enfield, has been the spoilt choice for many custom bikers and builders around the globe. They are mental, and they are a gold find for its simplistic construction and the liberty for customization. You can chop it up and put them together, and they will carry a whole new charm. 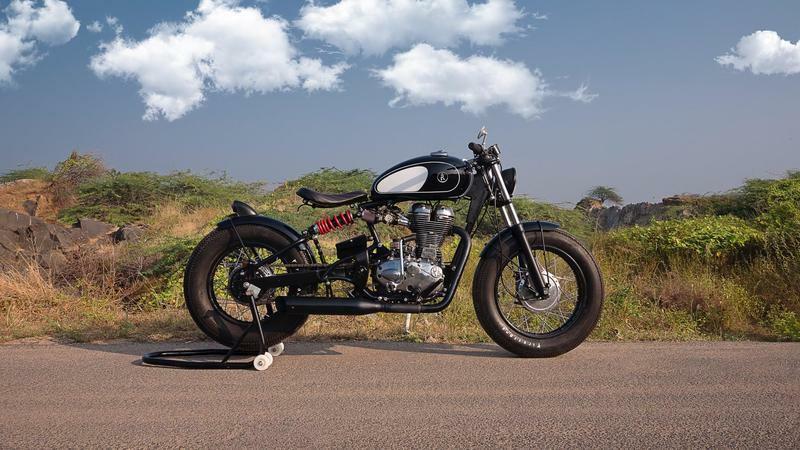 With the soul of ’go anywhere, do anything’ taking up a new meaning every time it goes under the axe, folks from KR Customs in Chennai (the same place Enfields are made these days) have couped up a retro bobber out of the bullet maker’s best-selling model, the Classic 500. 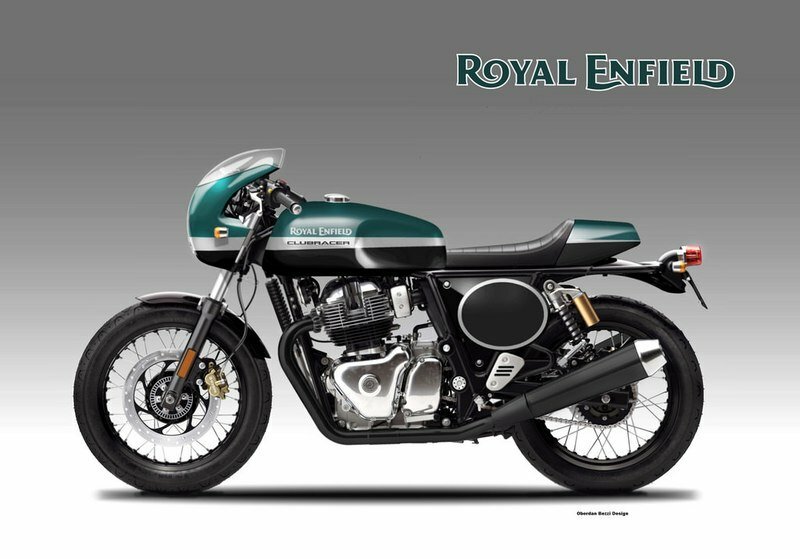 Royal Enfield hit the 2018 model year running with an all-new, 650 Twin engine that comes with a brand-new Interceptor wrapped around it. All new from the ground up, the Interceptor 650 has improved handling and agility that its single-cylinder predecessors just couldn’t match. It’s a hot-hot release in its homeland, but will the U.S. market receive it with as much enthusiasm? Continue reading for my first look at the Royal Enfield Interceptor 650. India-based Royal Enfield has been busy expanding its footprint as of late. The newly-minted U.S. dealerships will be scampering for a piece of the action with a bike that is sure to appeal to the increasingly-important Millennial buyers— the cafe’-tastic Continental GT. Built with an unmistakeable retro flavor and powered by a 535 cc, 29.1-horsepower engine, the GT brings a relatively authentic cafe’ experience to the table. Maybe even a little too authentic in some ways, perhaps? We’ll find out. The factory established a foothold on U.S. soil just a few years ago and it has introduced its very first engine to be designed in-house, but the GT is more of a reflection of the company’s deep roots than a product of its more progressive agenda. 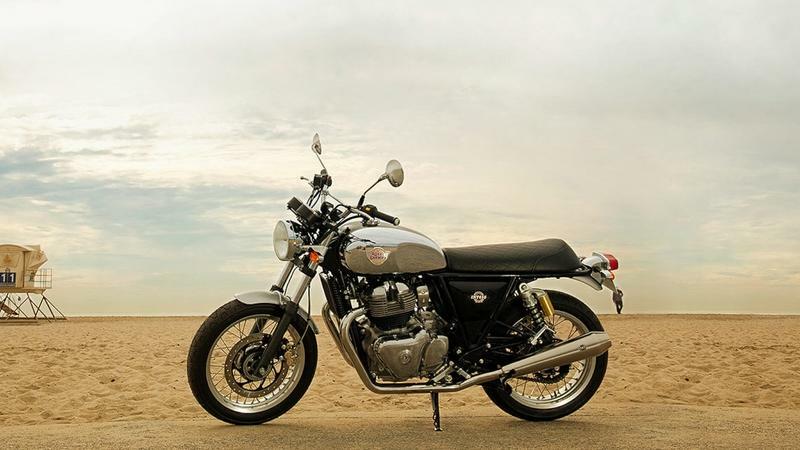 Continue reading for my review of the Royal Enfield Continental GT. For the folks who custom build for a living, BMW’s boxer layout is their holy grail. Nothing else looks as retro and authentic as the two pods pouting out of the frame. 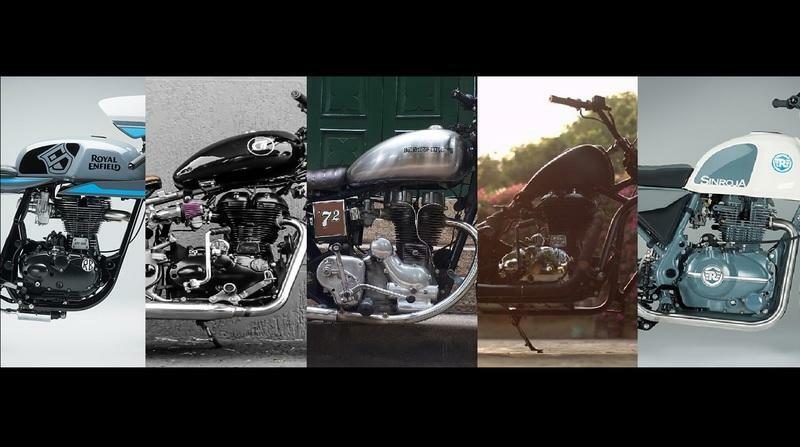 Builders turned these spirited machines into a beacon of beauty, simplicity, class and definition. But then there are so many other machines that carry a charm of their own and builders have always used them to give their creation a new meaning. 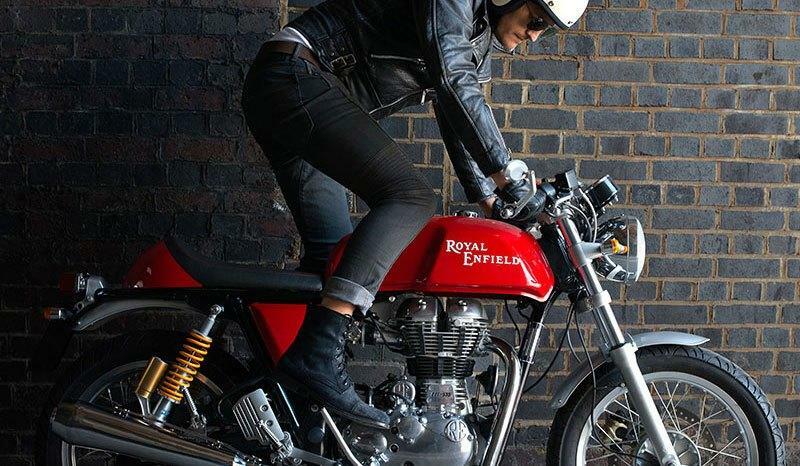 Royal Enfield, the post-British outfit is one amongst them for its 115 years of making simple and resilient machines. Royal Enfield, has been the spoilt choice for many custom bikers and builders around the globe. They are mental, and they are a gold find for its simplistic construction and the liberty for customisation. You can chop it up and put them together, and they will carry a whole new charm. The self-attested “oldest motorcycle company in continuous production in the world” has been making the right moves to be heard the world over. And their recent project seems to have gained a lot of traction at the recently concluded EICMA show: The 650cc retro twins running on brand new twin-cylinder engines. After a million speculations, spy-shots, hue and cry, the Indian company have finally taken the wraps off their newly developed machines running on 650cc parallel twin engines at the ongoing EICMA. Christened as the Continental GT 650 and the Interceptor, they herald a new chapter for Royal Enfield, a company that until now made only 350cc-535cc single barrel machines. Timeless designs that take you back to the pre-’60s era , heightened feeling of riding free-spirited machines and the sense of freedom. This is what a modern day classic motorcycle offers without that knuckle bending fixes and ghastly scenes of oil dripping everywhere. Drawing inspiration from the brand’s rich heritage, manufacturers are spinning motorcycles that exuberate the classic appeal and character that goes on to showcase their point of arrival into the world of two wheels. Recalling the past glories, these neo-classic motorcycles have still managed to retain the charm and posterity of minimalistic elegance along with providing modern day mechanicals and the bits. They run on efficient high output engines that are both reliable and powerful and are equipped with state of the art suspension and brake setups that will bring the bike to a halt not far from their point of application unlike the yesteryears. Today though, we’ll not get talking about power, torque, springs or brakes. Rather, the aura these bikes bring about with their interpretations of what the ’60s were all about and long before that. Their old silhouettes, round headlamps, spokes wheels and all that chrome. Apart from the Cafe-Racer styled, there will be a classic retro motorcycle running on the 750cc unit. 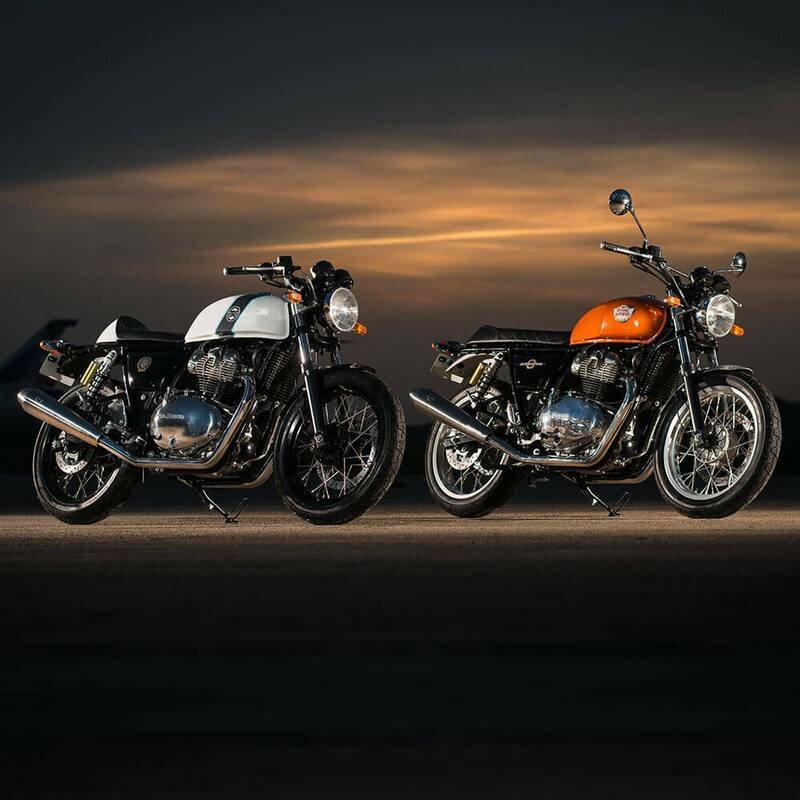 In a bid to create a niche market for themselves, the post-British Royal Enfield has a newfound interest in having multiple cylinders under its hood with added capacities. As we have been speculating about it ever since it was caught testing in Spain last year, fresh new spied shots of the bike has been surfacing the internet for a while now. With these latest image snapped by enthusiasts on a social media platform, we now have proof of not one, but two 750cc motorcycles will be joining the bandwagon for 2018. Although there is minimal camouflaging, I think I’ve already fallen for this Classic 750 sprouting in all vibrant colours. Royal Enfield brings old-school, British charm to the American market like no other builder in the world, and the Bullet 500 EFI is no exception. A genuinely dated design, not just another retro/tribute machine, it packs a 27-horsepower thumper in with all that antique appeal. The 87 mph top speed means it is capable of keeping up with any and all legal traffic, but not without a few issues (more on that later). Classic charm and a 499 cc fuel-injected engine make the Bullet a modern blast-from-the-past in the best possible way. Continue reading for my review of the Royal Enfield Bullet 500 EFI. The factory is keeping its cards close to the vest, and if not for some recent spyshots out of Spain we wouldn’t even know this much, but the new engine comes in a parallel-twin configuration, that much is clear. We reckon it will displace something on the order of 750 cubes, and though it aspirates through paired carburetors which is fine for the Indian market, we expect to eventually see a fuel-injected version, necessary to help expand RE’s not-inconsiderable foot print from India onto the world market. 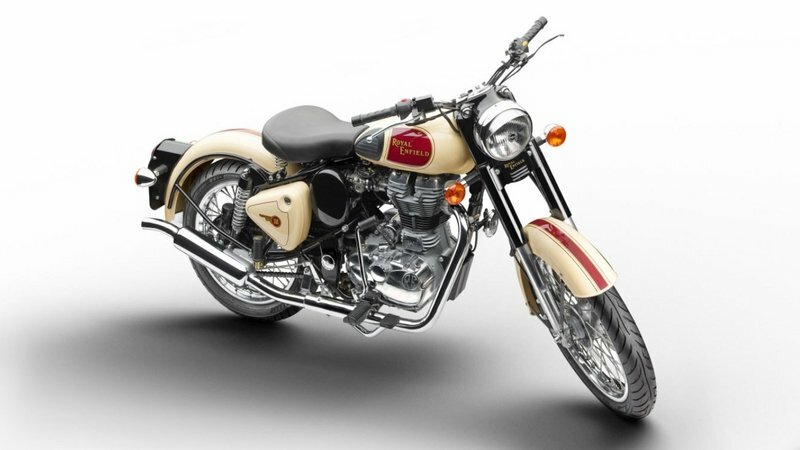 Continue reading for more information on the new Royal Enfield engine. For those who are familiar with his status in the automobile and motorcycle collector’s market, a lot of us know that It takes a lot to get the attention of Jay Leno. The man who arguably has one of the most fascinating car and bike collections in the world isn’t a guy that can be easily impressed by anything. That said, industrial designer and all-around motorcycle savant Aniket Vardham managed to do it. All it took was for him to hand build his own ‘50s inspired Royal Enfield Bullet, which he proudly calls the Musket V-Twin. Needless to say, Leno was more than impressed with Vardham’s handiwork; he was downright enamored with it. To be fair, Vardham’s creation truly is a masterpiece in craftsmanship. He builds the bike himself using only his hands and whatever available resources are presented to him. But despite his obvious limitations compared to actual motorcycle companies that routinely build these kinds of bike, Vardham was still able to create bikes that not only looked the part that would make their forefathers proud, but also performs like a modern-day warrior on two wheels. It’s hard to point out which part of Vardham’s work is more impressive. On one hand, you have the remarkable design of the bike that perfectly captures the spirit of Royal Enfield back in the ‘50s. On the other hand, Vardham was also responsible for the new engines found on this bike. Basically, he put these engines together all by himself, assembling them piece by piece until he had a 700cc and a 1,000cc engine at his disposal. In other words, and as Leno pointed out, Vardham is creating these bikes by himself without the aid of technology that actual motorcycle companies can tap into whenever they need it. That’s beyond incredible, and it’s a testament to the talent, skill, and dedication the self-professed Royal Enfield enthusiast has in creating his own version of art. 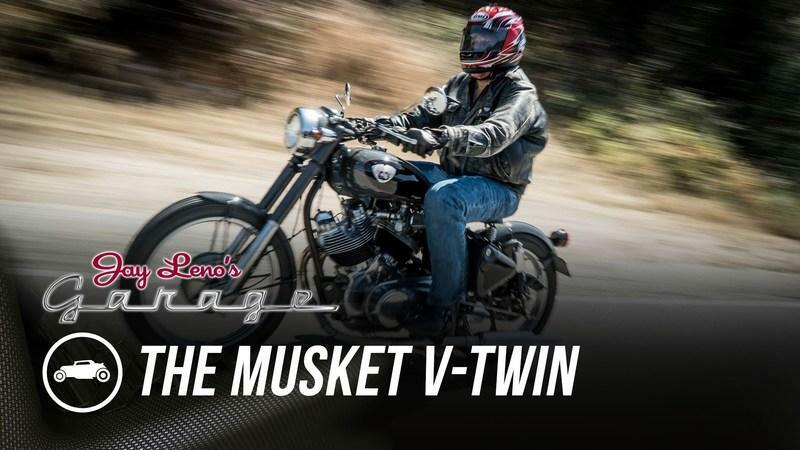 Continue reading to read more about Aniket Vardham’s impressive Musket V-Twin motorcycle.